Our Trenton New Jersey landmark is now in the history books and memories of our faithful customers. We had celebrated 66 years in Trenton's Chambersburg before closing the doors on our Hudson Street location in early 2012. We're happy to continue the tradition at our unique Robbinsville location just a few miles west of Trenton where it all began. Alexander "Chick" De Lorenzo was born one of twelve children to Pasquale and Maria De Lorenzo who immigrated from Southern Italy in the early 1900s. 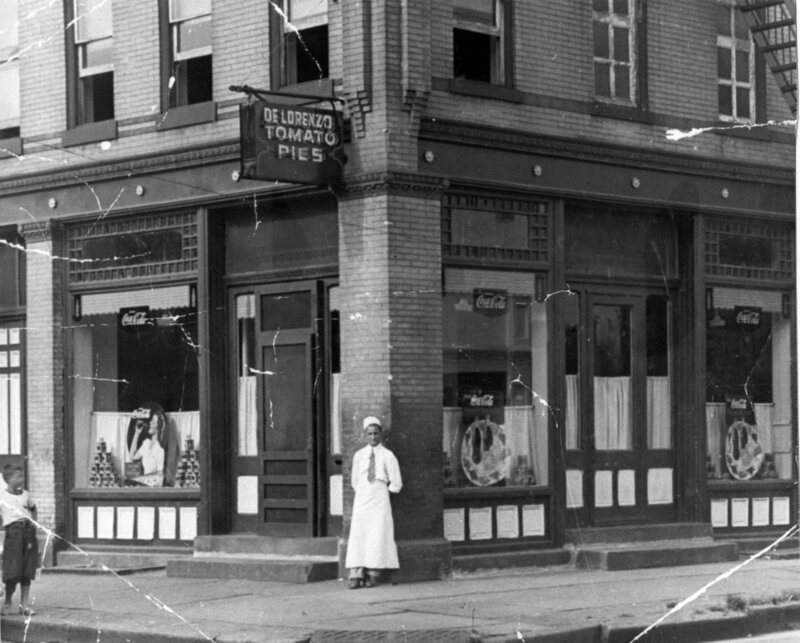 In 1936 the De Lorenzo family opened one of the first Tomato Pie restaurants in the Chambersburg section of Trenton. In 1947 Chick had decided it was time for a place of his own and he established Delorenzo's Tomato Pies at 530 Hudson Street. Chick and his wife Sophie worked side-by-side for nearly 40 years. Together they laid the ground work for what helped this "mom and pop" restaurant into a long standing successful business. Chick claimed his recipe for success was using the finest quality ingredients, laboring over the final product and serving customers with a warm and friendly smile. That same approach continued when Gary and Eileen Amico (Chick's Daughter) and Sam Amico (Chick's Grandson), the second and third generation, took the helm from Chick and Sophie. They continued to work side-by-side in the same fashion as Eileen's parents, providing their customers with award winning excellence in thin crust pizza. Even after Chick and Sophie had retired you'd always find them at the restaurant chatting with family, friends and customers alike. Sam opened the Robbinsville location in late 2007. This new location operated simultaneously with the Hudson street location until early 2012 when Gary and Eileen decided to retire and close the doors for good. The Robbinsville location had been open for 10 years when the much anticipated Yardley, PA restaurant opened in February 2018. The Yardley location is double the size of the Robbinsville restaurant, which is twice the size of the original Trenton location.